After the war he grew embittered by the rise of violence in Palestine and by the terrorist tendencies amongst followers of the Revisionist fraction. Pilot plant development of laboratory procedures was completed in 1915 at the J&W Nicholson & Co gin factory in Bow London so industrial scale production of acetone could begin in six British distilleries requisitioned for the purpose in early 1916. Weizmann and David Ben-Gurion accepted the partition and its logic. He was elected on 1 February 1949 and served until his death in 1952. He founded the Weizmann Institute of Science in Rehovot Israel. 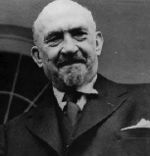 Weizmann was also a chemist who developed the ABE-process which produces acetone through bacterial fermentation.